And then they'll devour it before your very eyes. Nibbles (left) and Omnom, ready for their next flower delivery. Has Portland hit peak goat? 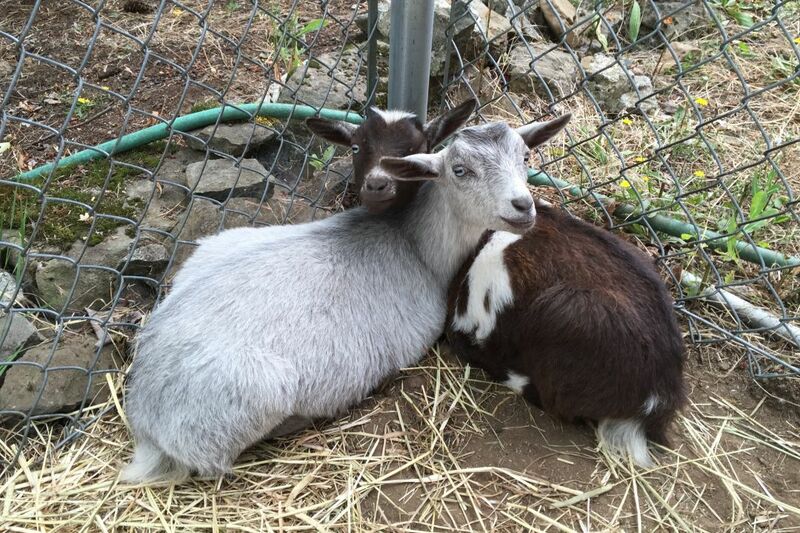 We’ve got our beloved Belmont Goats (who currently reside in Lents). Oregon-born goat yoga is sweeping the globe. 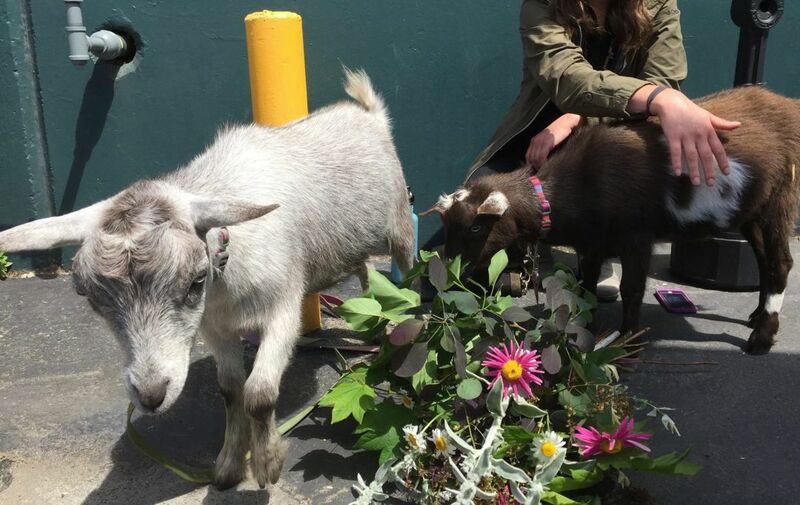 And now you can get a flower bouquet delivered by two Nigerian dwarf goats. The twist? The cute lil' creatures will devour it before your (or your special someone's) eyes. 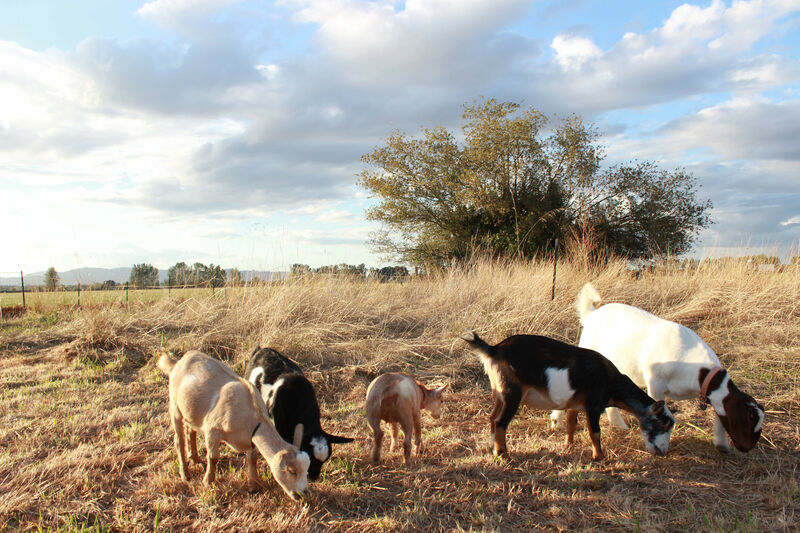 “Goatgrams” are the latest endeavor from Washougal’s tiny Shrink Ray Farms. 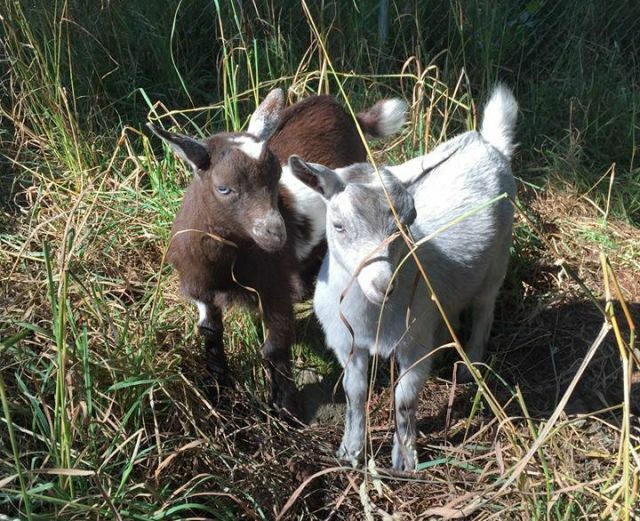 Since launching in early October, Shrink Ray’s Brett Wilson says he’s completed about 20 deliveries, all accompanied by the farm’s pair of year-old Nigerian dwarf goats, Omnom and Nibbles. 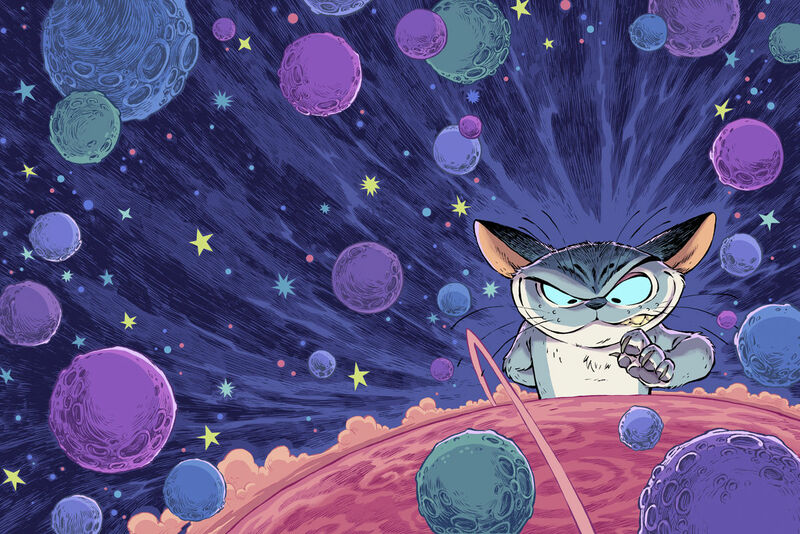 “They’re super, super affectionate,” Wilson says, adding that Omnom fancies himself the dominant one. “At first they just wanted to be cuddled—they couldn’t care less about the food. 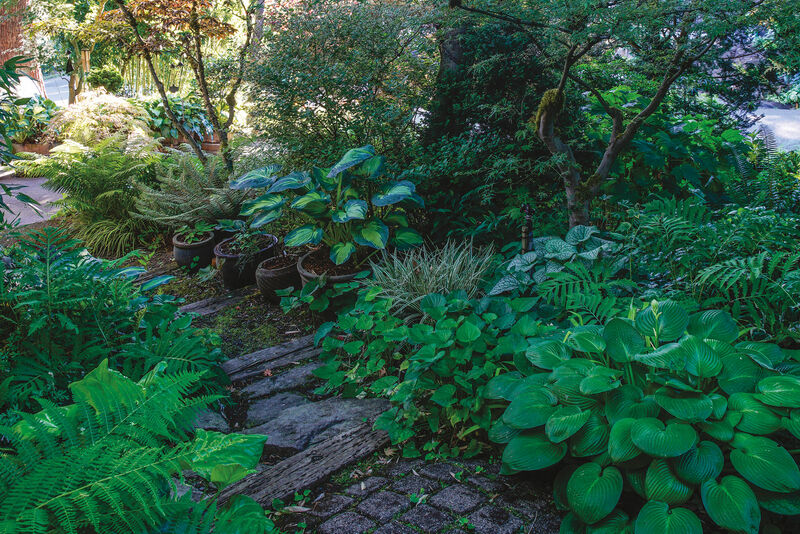 But they kind of clued into what we’re doing, so now they’ll eat the bouquets." Got someone you want to make feel good? 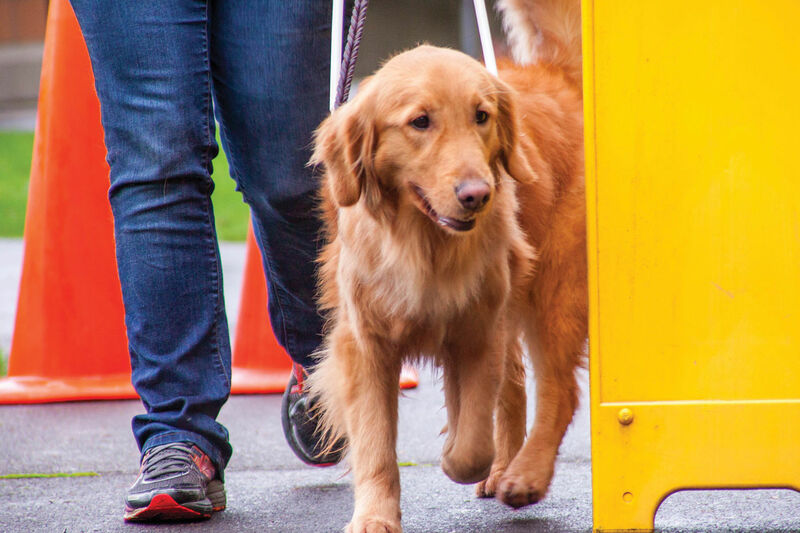 Goatgrams run $100 and are limited to the Portland and Vancouver metro areas, with only two deliveries per day. (Wilson schleps Omnom and Nibbles in the trunk of his 2005 Honda Element.) As the website notes, you have “to allow time for our goats to just be goats."